Kosovo and Albania were occupied by German forces for about a year during the Second World War (ca. September 1943-October 1944). The following four documents dating from August 1944 are “transport lists” of individuals arrested by the Nazi regime in Kosovo, with the assistance of the local SS Skanderbeg Division, and detained at a holding camp (Anhaltelager) in Prishtina for further transport, no doubt to the Reich. The 789 victims include Serbs, Albanians, Bosniaks and Jews. Their fate is unknown. 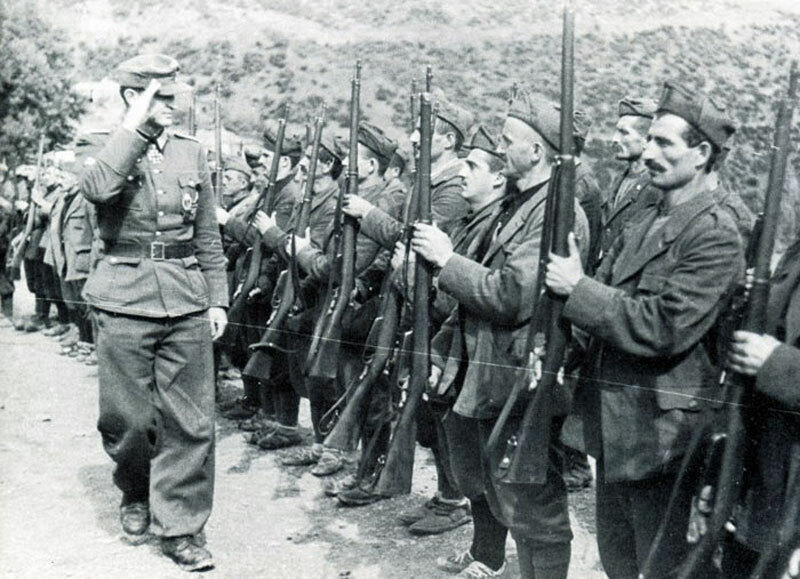 Anti-communist fighters in Albania under German command, autumn 1943. She tried to buy ammunition from the troops and was detained with ammunition and equipment on her. farmer working on G.B.’s farm. Reputed to have ties to Sahit Beg and know the whereabouts of G.B. The Deralla brothers were known as major smugglers. wandering around in Albanian settlements since the Italian putsch. Considered a royalist. No. 56 was taken off the list because he was not transportable.